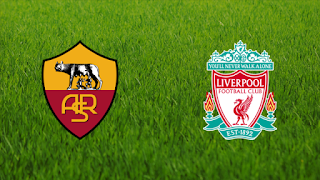 AS Roma vs Liverpool LIVE Champions League Live stream info Liverpool are on the cusp of a Champions League final against Real Madrid as they look to defend a three-goal lead against AS Roma in the Italian capital tonight. Jurgen Klopp's Reds blew away the Giallorossi at Anfield to race into a five-goal lead in the first leg of their semi-final tie, but two late goals gave Roma hope of a potential fightback. After seeing Roma stun Barcelona with a 3-0 second-leg win in the quarter-finals to reach the last four, Eusebio Di Francesco must now mastermind yet another comeback in Rome if they are to overturn a 5-2 deficit. No Comment to " AS Roma vs Liverpool LIVE Champions League Live stream info "